It’s been a funny kind of week, I made another batch of limoncello lollies and to be honest, I don’t want to blow my own trumpet but they were to die for. I also tried to make some lollies using some cherries that had spent the last 12 months soaking in neat grappa, unfortunately the alcohol content was too great and they didn’t freeze, however they made great alcoholic slush puppies and the third batch did freeze. Mrs Sensible is less than impressed with my hobby of turning alcohol into fantastic lollies, to placate Mrs S I made some lollies using some apricots from the garden, Mrs S liked them but in my humble opinion they lacked something, namely a good shot of liqueur. Also I came across an interesting article on the tinternet about a woman who hadn’t washed her golden tresses for 5 months….. allegedly she stopped using shampoo because it was expensive, not eco friendly and damaged her hair. I have no idea how much shampoo costs, Mrs S is in charge of the shopping, but in the interests of science and because it has been a funny kind of week I decided to try going shampoo free. Following the instructions on the tree hugger website, I put one tablespoon or was it one desert spoon of bicarbonate of soda in a bottle and added a cup of water. This was to be my eco friendly shampoo. I then took a bath and washed my hair. The results were less than successful, my hair stood up on its own and I resembled Beaker from the Muppets show. I will try the no shampoo experiment for another couple or days / weeks and I will let you know how it goes. Darn. I just washed my hair. With my mum’s expensive Ghul shampoo. (I didn’t bring my own, I’m trying to save money). Ghul shampoo…. I need to google that, I have just found out if the bicarbonate of soda makes your hair, how can I put it, a little wild as In Beaker from the muppets wild, you can wash your hair using a mixture of Apple vinegar and water!!! I wonder if mushed up grappa lollies will have the desired effect! I think the grappa lollies are better taken internally. Enough of them and you won’t care what your hair looks like. Not that I am trying to encourage your alcohol consumption or anything. Of course I haven’t washed my hair in a while but then I don’t have any to wash (thanks to chemo) but that is getting better….maybe October. I spelled that wrong… it’s Guhl. I’ve never really liked that brand… maybe I will have to buy my own, dratt!!! Interesting abbot the slush puppies as in hush puppies that US southerners make out of cornmeal and then deep fry. Interesting, but when you say you needed to rewash with the good stuff, what is the good stuff ? Shampoo from a beauty supple store. Makes my hair squeaky clean and then I apply a good conditioner and then rinse that out and then blow dry my hair. As long as you don’t try to go a week without having a “lollie” or brushing your teeth all will be just fine, even if you look like Beaker! Seeing as you’re living in Italy, perhaps you should try conditioning your hair with olive oil. Of course, you might need a little more than bicarbonate to wash it out. Recently, I’ve also been seeing a lot of “cleansing conditioners” that are supposed to leave you with a natural, healthy shine. Well it is day 2 and apart from hair that has a mind of its own and likes to stand to attention in little clumps, the experiment appears to be a partial success. My hair is not greasy and Mrs S, who would order me to the shower if I started to pong, has not said anything. Olive oil is an interesting choice as a conditioner, we have several bottles of olive oil made from the olives from my father in laws land. It is as natural as can be. I am just wondering what state the bath will be after I have ‘conditioned’ my hair. For my friends living in the UK, would you suggest chip fat of lard as a substitute conditioner?? Perhaps you can wrap your head in a towel as the oil soaks in and you enjoy one of your lollies while you wait. Hmm, It might actually be perilous to my health, especially if I ruin one if Mrs Sensible’s towels. Put a little olive oil on that spoon, and just think how smooth you’ll be. You are determined to get me into trouble.. aren’t you? You ARE the black sheep! This is true, another truth is I can normally find myself in trouble without much external help. When I was 19 ish it seemed like a good idea to let a woman at my Christmas party perm my hair, everyone had drunk a little too much.. including the hairdresser,who forgot to time how long the perming solution had been cooking my hair. Although she panicked a little, she assured me she could cut out the perm if I didn’t like it. I woke up the following morning with a bad headache and a Micheal Jackson Afro..
Yikes! I guess no amount of “toner,” as hairdressers have referred to the solution they’ve doused all over my hair in a slight panic when having left the solution on too long, would have helped in that case. 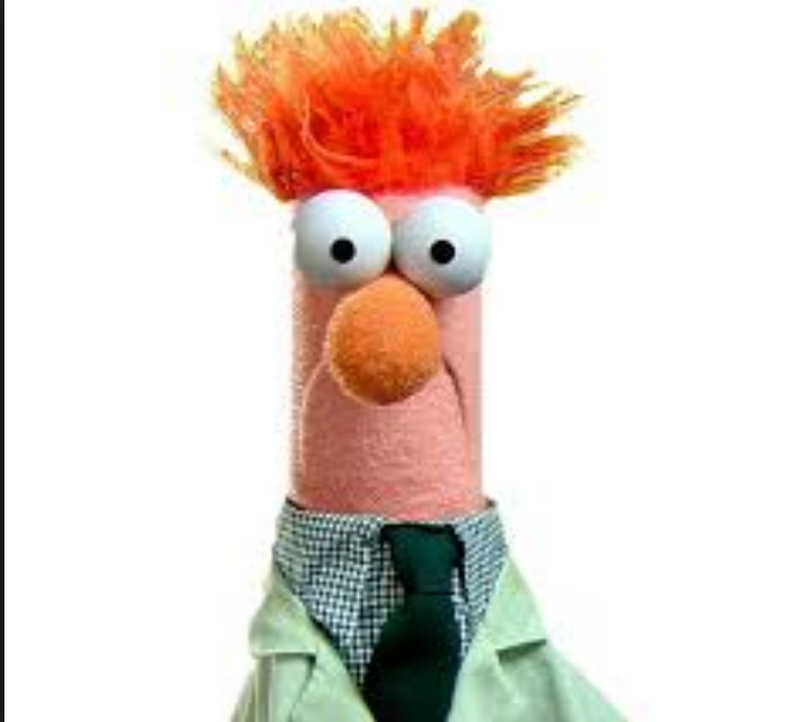 As long as the rest of your head doesnt change into Beaker you will be fine! They used to say beer was a great way to clean your hair…. but what a waste of beer!! Hi Elaine, it’s now been 4 days using just bicarbonate of soda and my hair isn’t greasy not is it amazingly shiny and healthy looking… it just looks the same. It is turning out to be a bit of a non event. Mind you my hair is not long and falling over my shoulders. When I was a teenager, and read all those girls magazines, I remember being told that a good way to get glossy hair was to rinse it in beer. There was also a fad for bottles/sachets of beer shampoo. I remember the girls reading those magazines, the boys read Beano, Topper or maybe even the war comic Victor. Perhaps your friends just told you what was in the girls’ magazines. 😉 I remember the Beano and the Topper – particularly the Topper summer special for some reason. Oooh, I don’t remember the Christmas specials, but I sometimes got an Annual for Christmas – Rupert Bear, Bunty, Jackie etc through the years. I longed for a Selection Box, but don’t think I got one until I was about 15! I read something about how nasty shampoo is for you, but there’s no way I’d go without washing my hair with something that smells good. Whatever I use, my hair looks like I’ve stuck my fingers in a socket, so I will be avoiding your bicarb of soda recipe. Grow it and find out. I will file that suggestion under Useful advice that might get me into trouble..